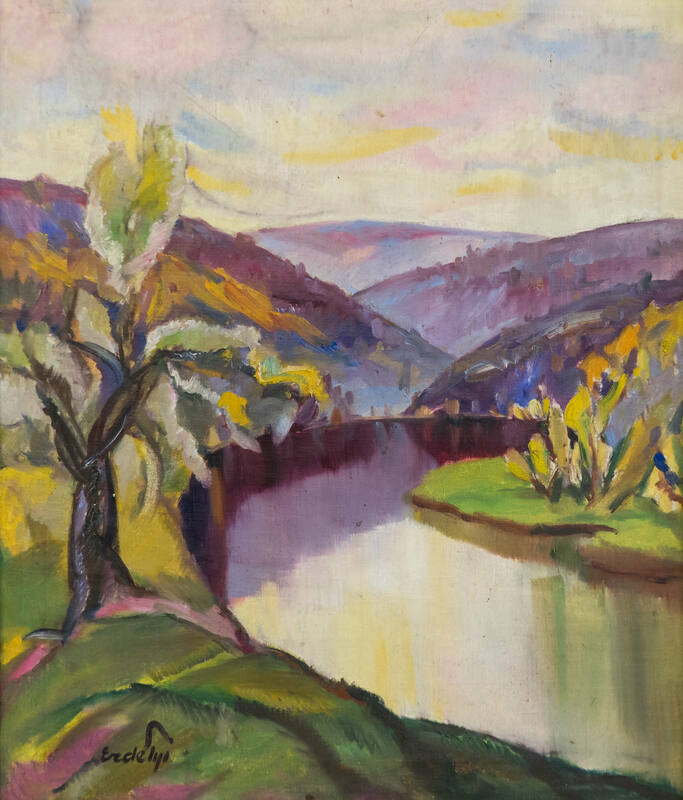 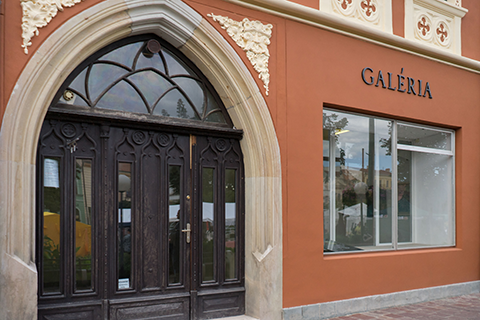 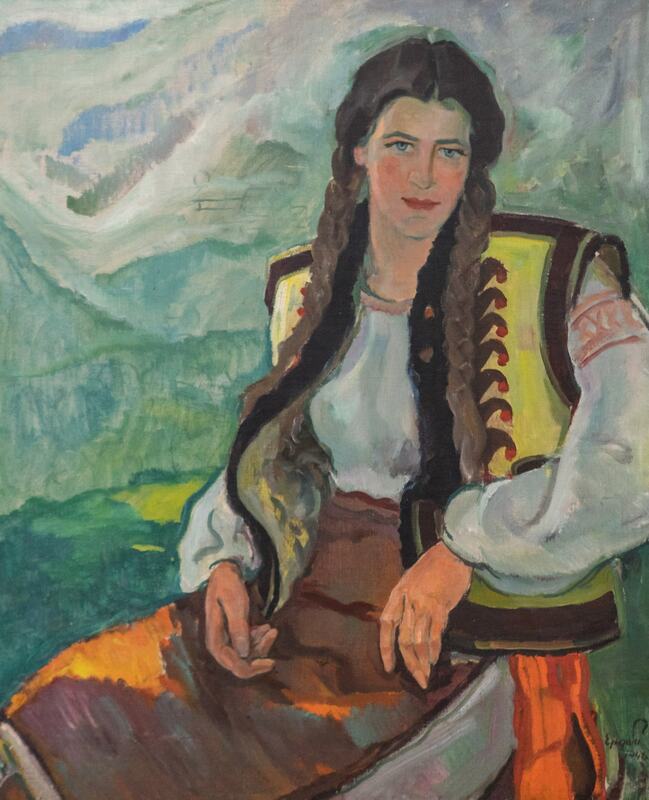 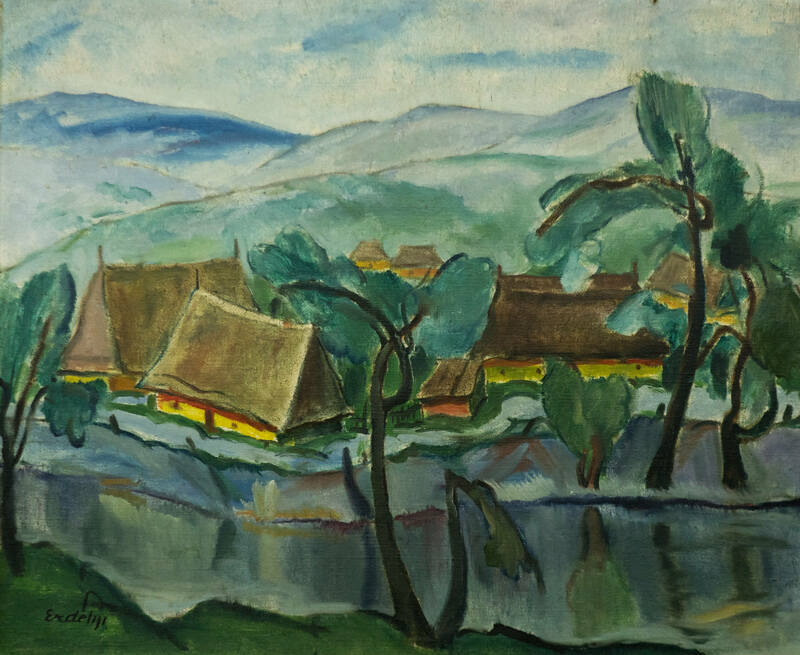 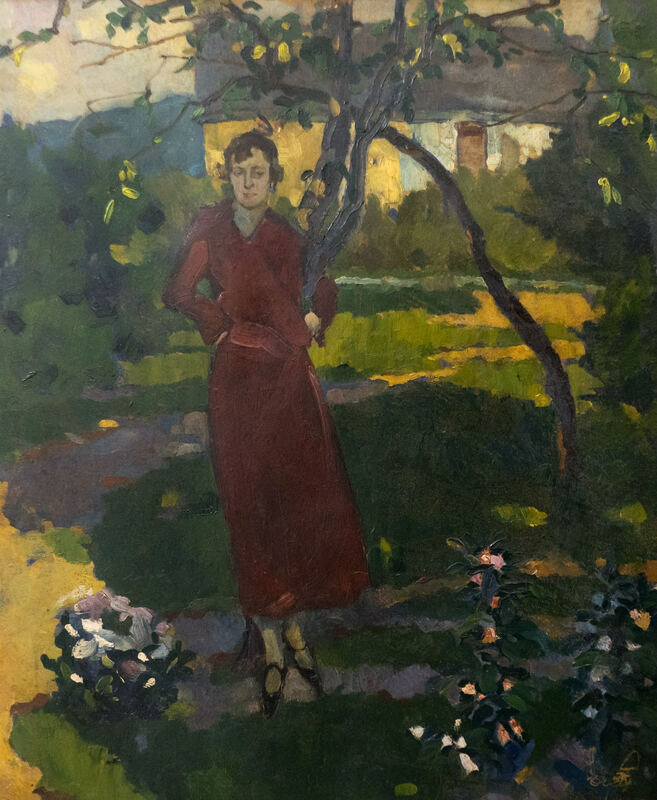 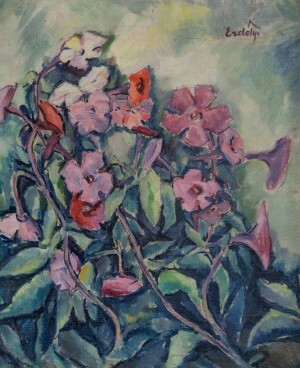 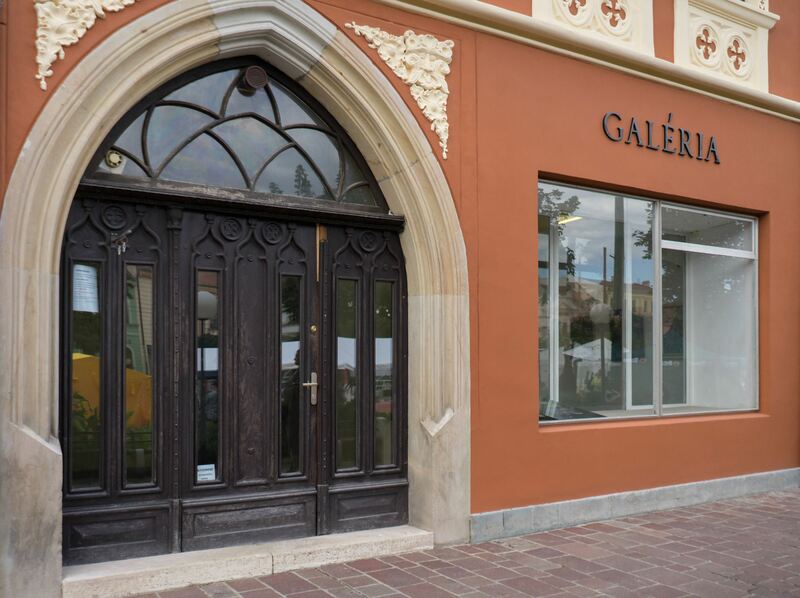 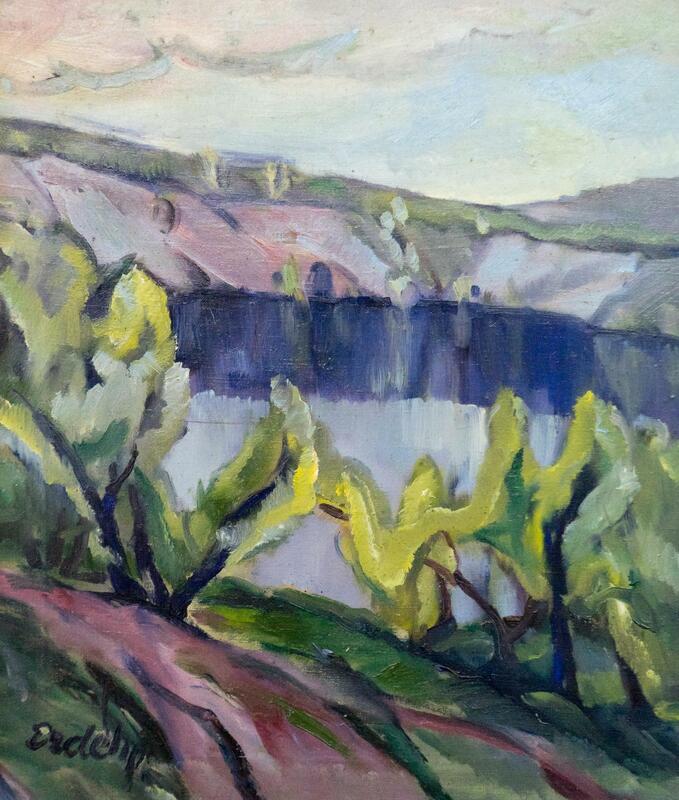 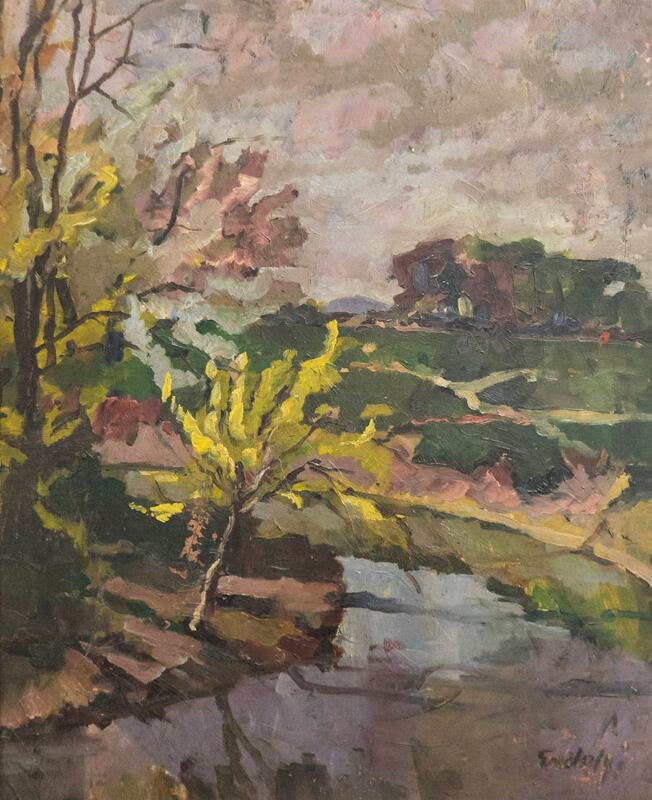 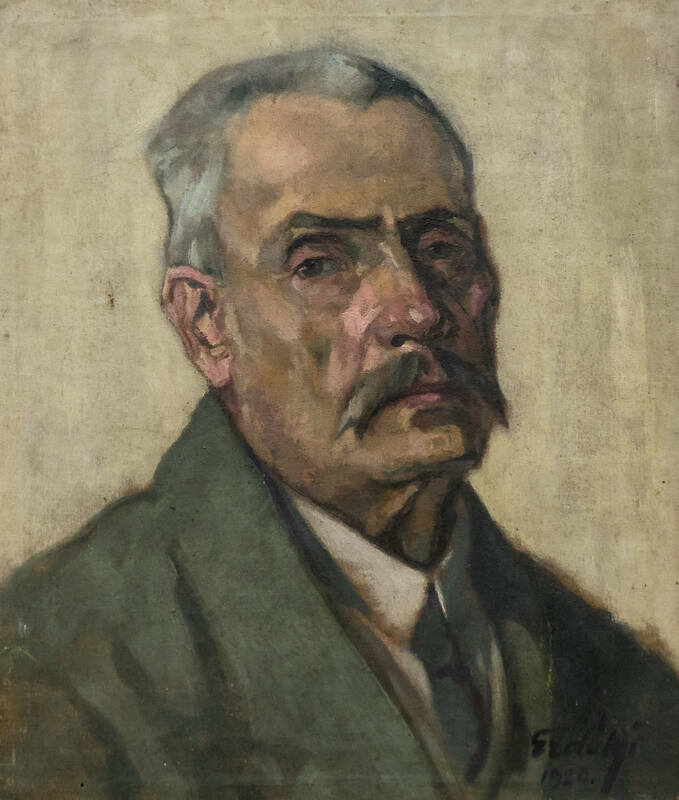 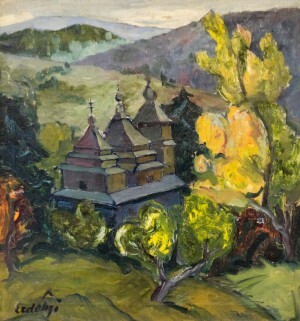 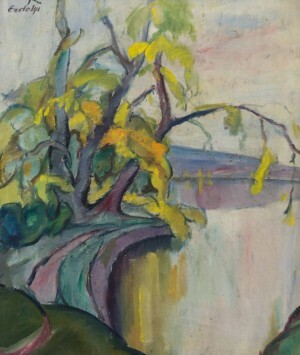 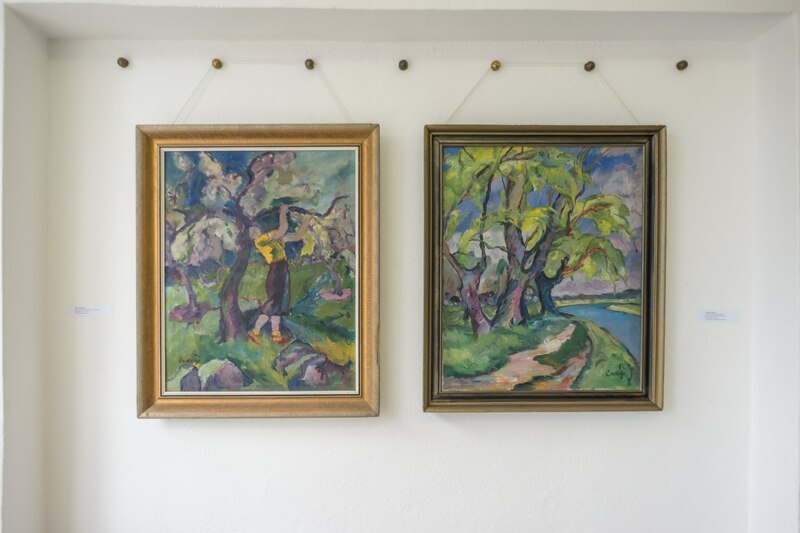 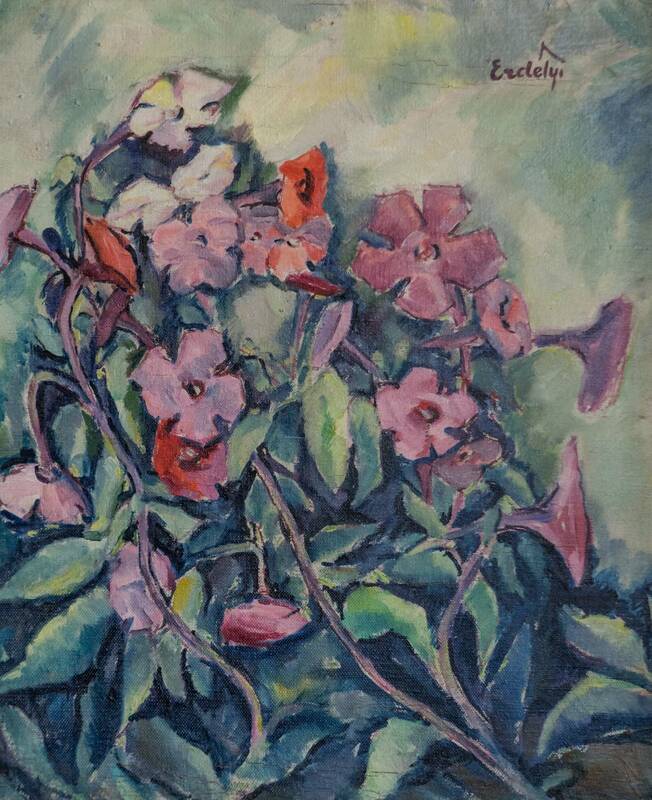 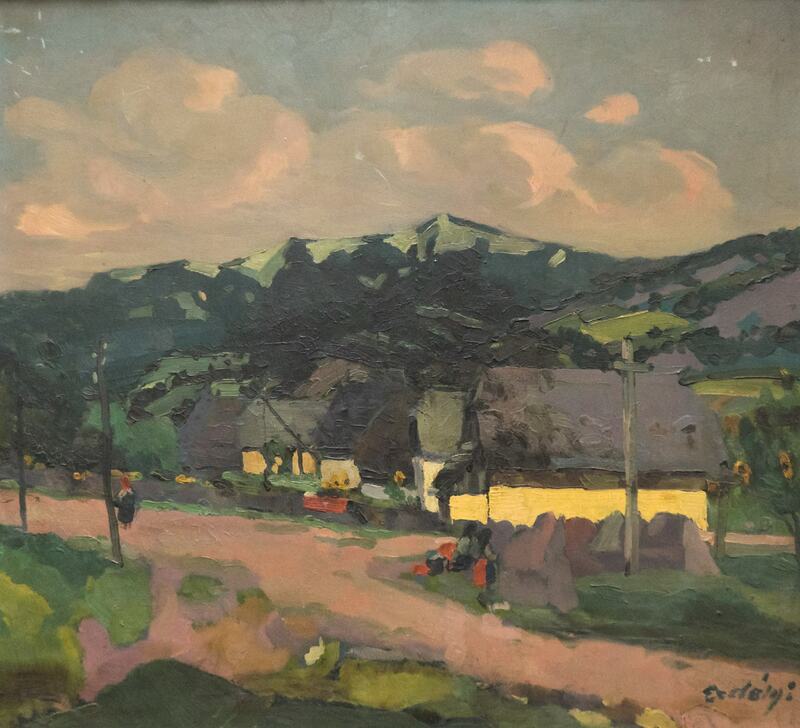 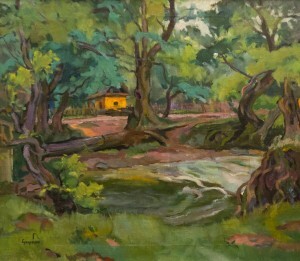 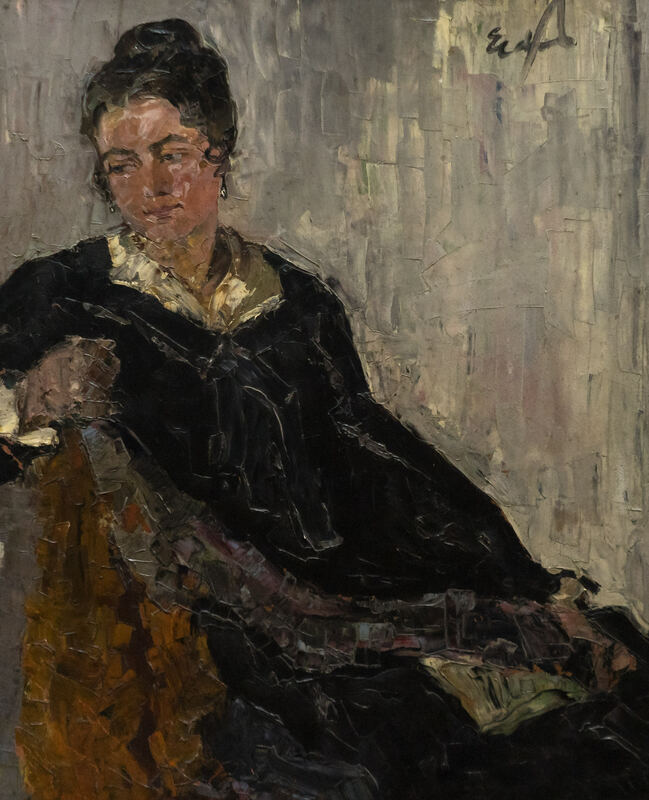 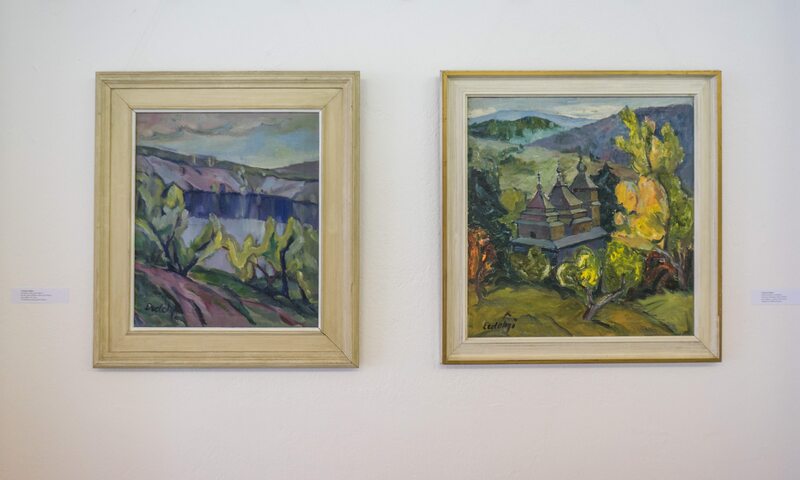 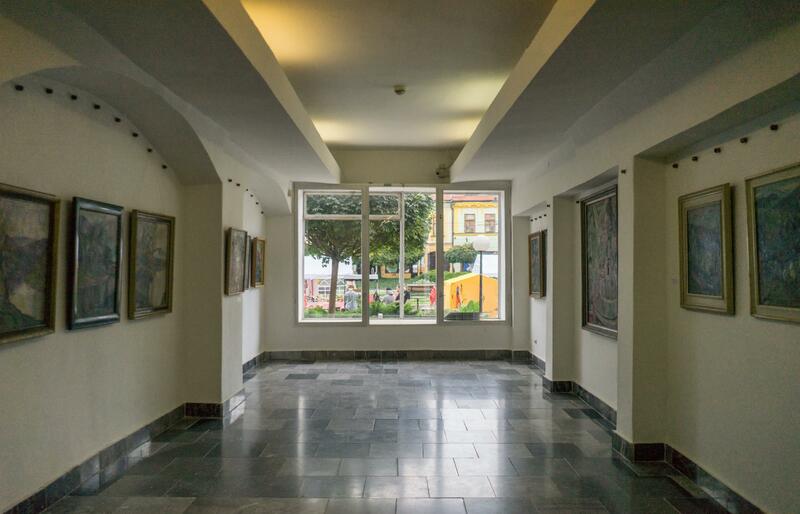 In September 2017, within the Saris Gallery in Slovakia, it was exhibited the paintings of one of the founders of the Transcarpathian school of painting Adalbert Erdeli. 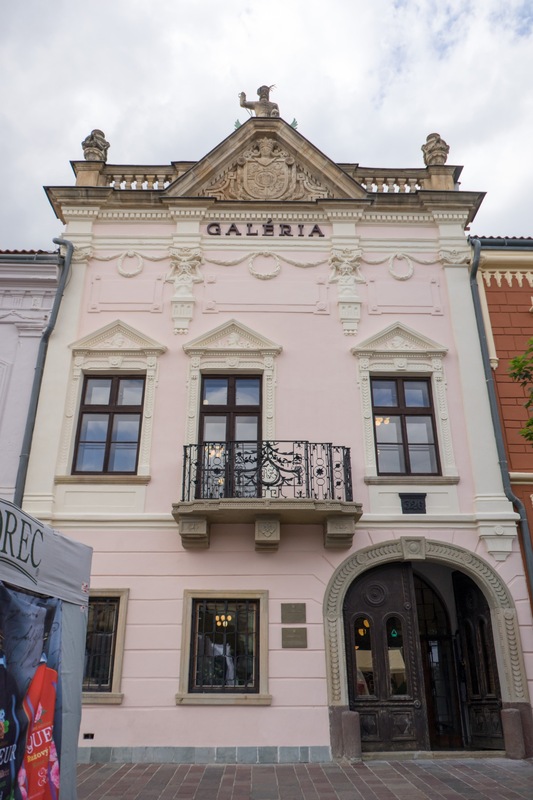 It consisted of the collections of Saris (Presov) and Kosiсе East Slovak galleries, the East Slovak Museum in Kosiсе and from one private collection (to which there are certain questions on the authenticity of individual works). In any case, to get acquainted with the works of Erdeli is not possible through the art albums or displays of gadgets, because none of the illustrations reveals the wealth of inner world and the colour spectrum of the artist. Adalbert Erdeli wrote: “Colour is a vibration, painting is a flutter of colours...”, “... 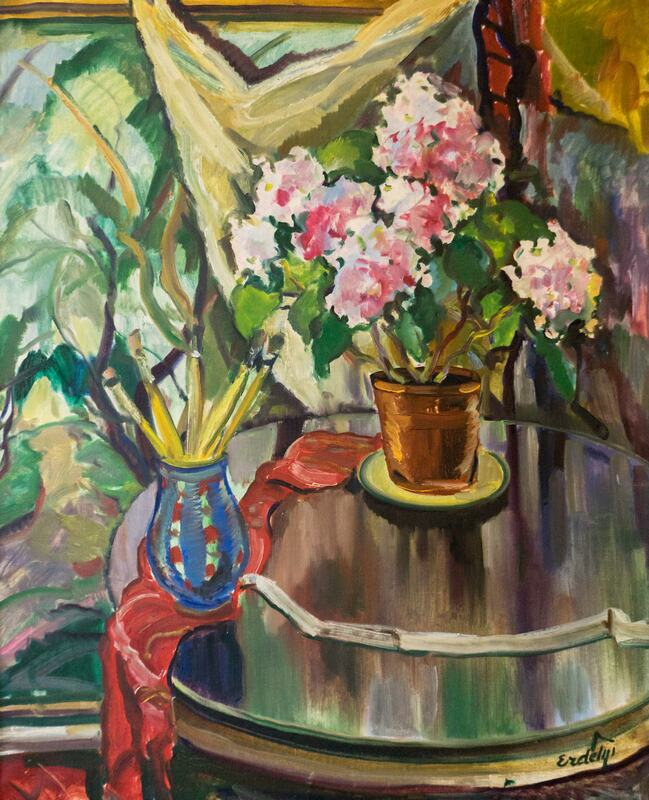 I'm restless, I love paints, colours – that’s the whole point”. He is a master of colour, he conveyed all his emotions and expressions through colour, and he always complained that he did not have enough colours to convey what he felt and saw. 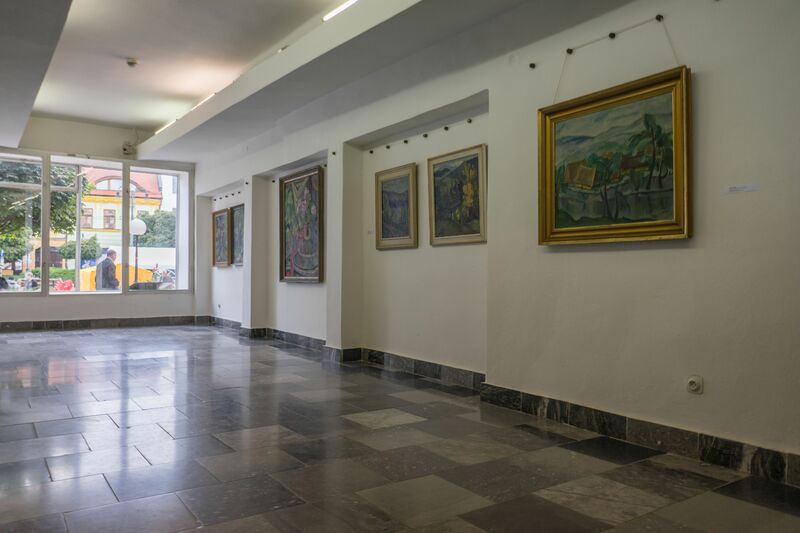 Munich and Paris were the majestic art outposts of Europe of the time when the artist lived and worked. 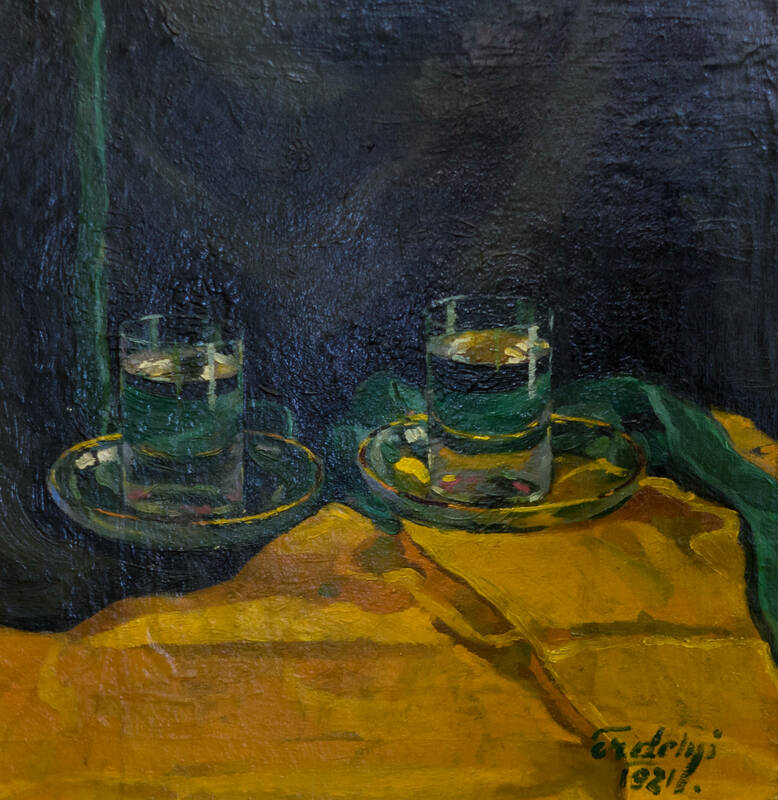 Erdeli studied, developed and worked there, but having the opportunity to stay and, of course, to achieve world recognition in Paris...he returned home. 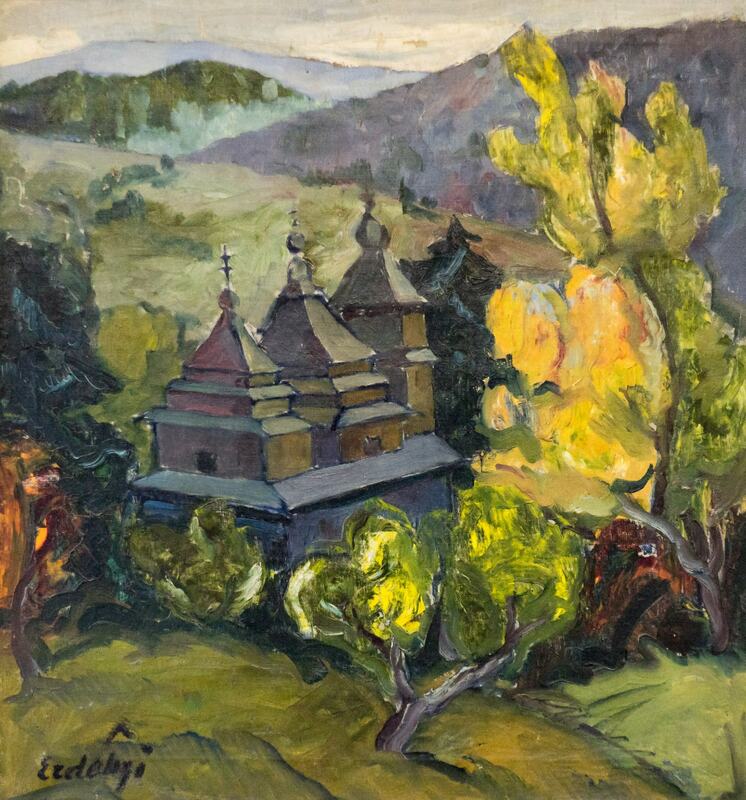 Well, this was his challenge, which he carried throughout his life, but his self-sacrifice made a small ancient Uzhhorod the city of artists. 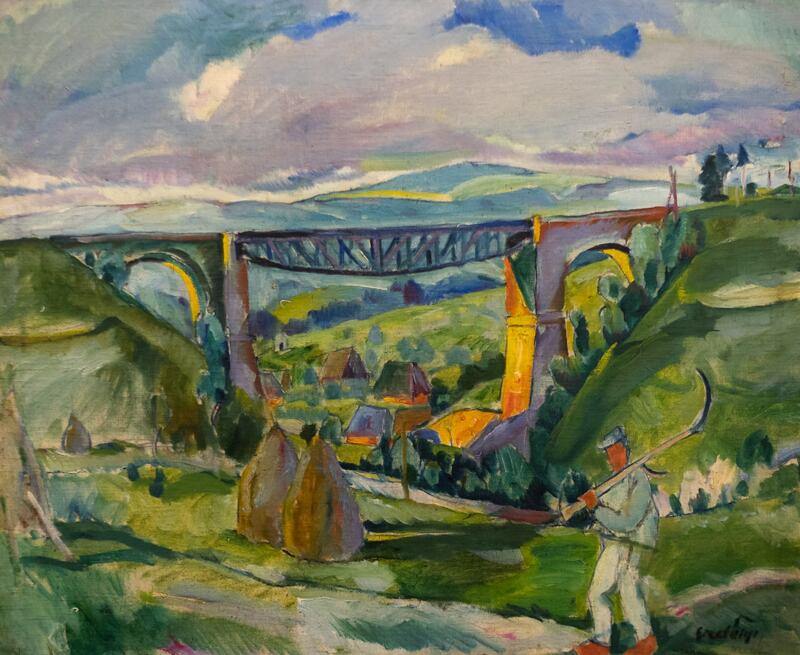 Thanks to the master, a piece of the soul of the beautiful French city of lovers settled down in the city over the River Uzh forever. 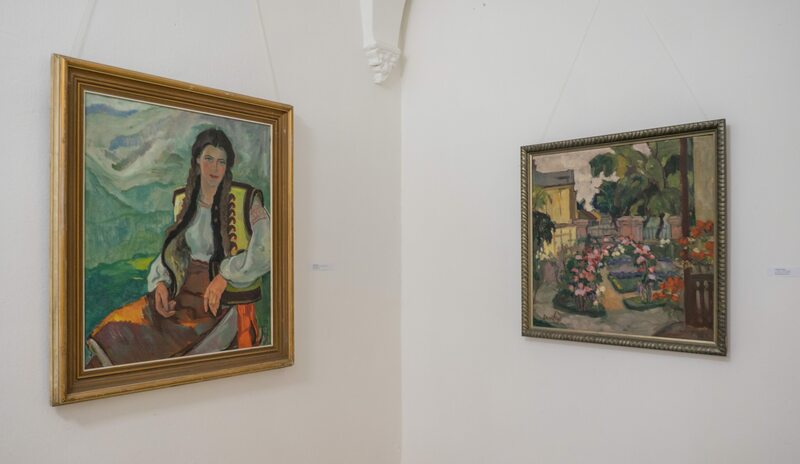 “Paris in Uzhhorod” – such is the name given to the exposition presented in Presov. 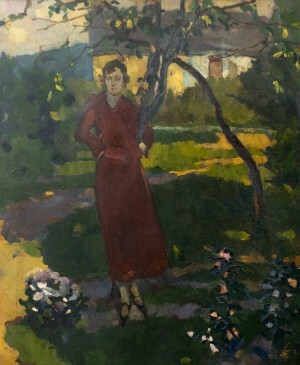 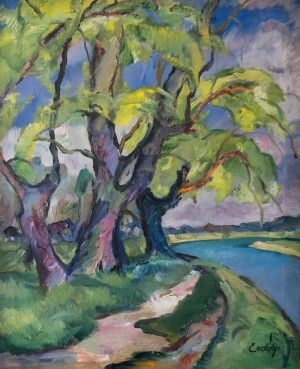 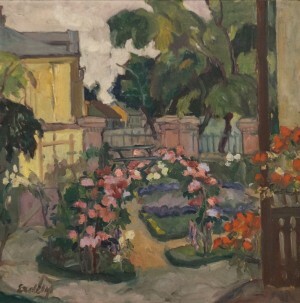 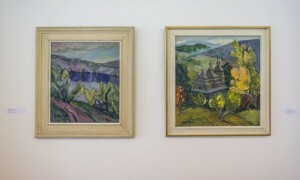 It presents 27 + 1 pictures – landscapes, still lifes and several portraits, created by the master mainly in 1920-1940s. 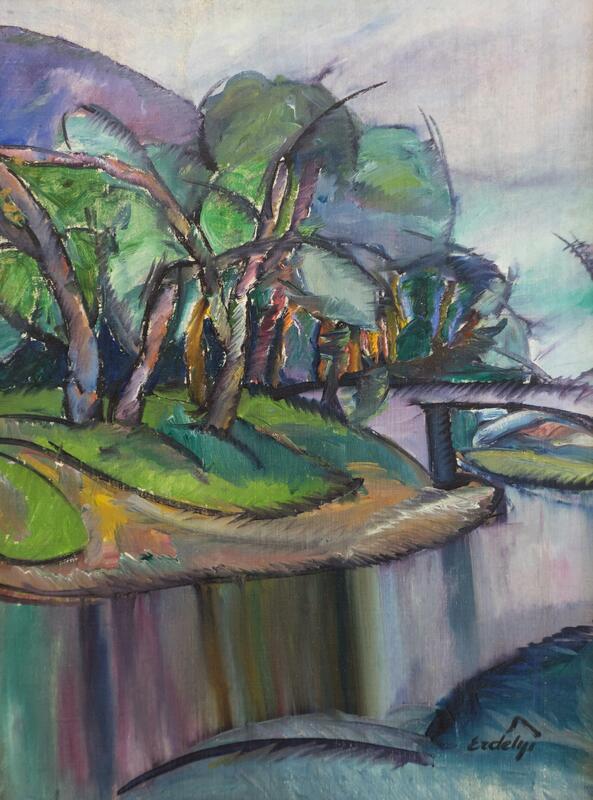 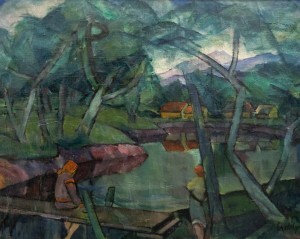 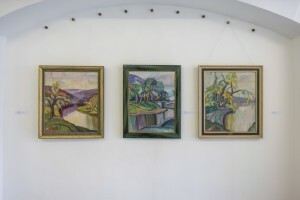 Even such a small exposition allows you to clearly see and highlight the early (“Glass with Water”, “Houses Under the Hill”, “Portrait of the Father”), Munich ("Portrait of a Sitting Woman", "Landscape"), French ("Trees by the River", "Above the Water (Bridge)", "On the Bridge") and the post-war paintings of the artist (“Landscape with the House”, “Portrait of Hutsul Girl”). Why is it “+1” picture? 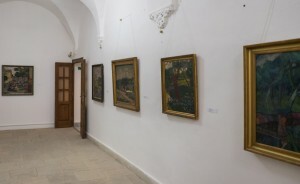 Because one picture, included in the chamber exposition, does not belong to the master’s brush. It is the “Clown” composition, performed in 1931, that was previously attributed to the brush of Adalbert Erdeli. 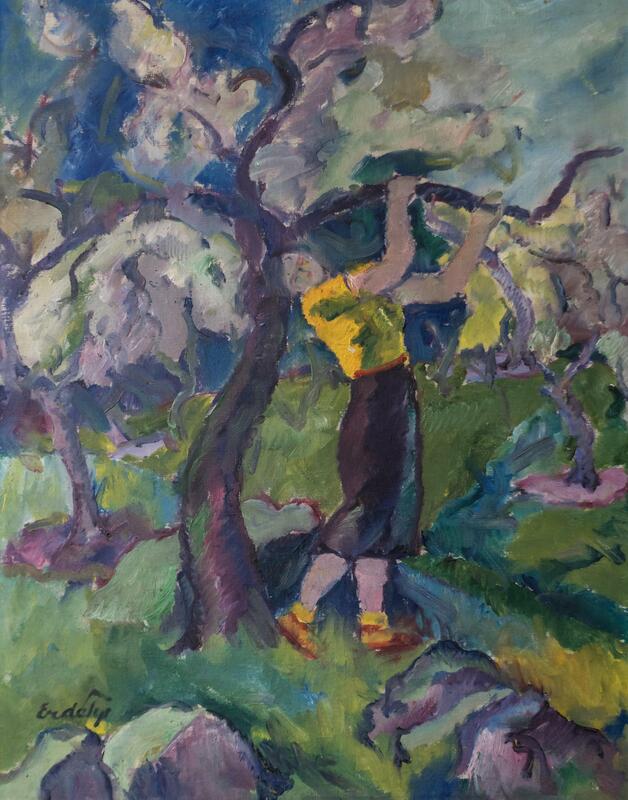 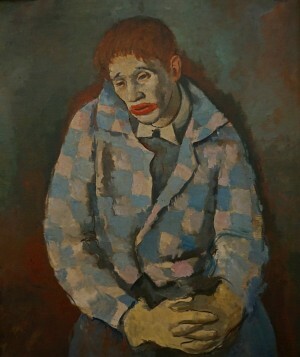 Most lovers and art critics have long been inclined to believe that "Clown" "falls out" of the master’s art stylistics and genre, and finally, the picture was identified as the work of Erdeli, but Ferenc Erdeli (1904-1959), the namesake and contemporary of Adalbert, a native of Budapest. 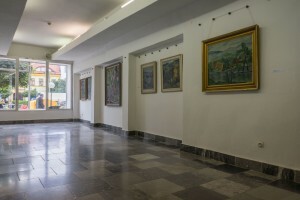 Nevertheless, the work was presented to the audience.